From Atlanta to Ohio we stop at nothing to bring you varied NewPro action, so here in New Jersey is our main event, a wild free-for-all miles apart in every way from the technical style of the previous match. 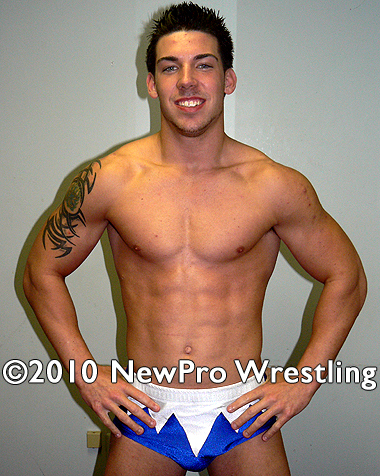 Travis Blake, a young wrestler who walks around with a chip on his shoulder, takes on Tommy Trouble, whose arrogance and attitude rub people the wrong way. His talent is undeniable. Trouble is running his mouth (as usual) to start things off when Blake interrupts him; soon after they two are going at it outside the ring! When the fight spills into the ring the two trade punches, kicks, and holds. Each time Blake gains the upper hand Trouble bends the rules to regain the lead. If you can't beat them, join them and join him he does as Blake throws the rulebook out the window, choking Trouble in the corner. For the next 30 minutes were treated to a constant back & forth struggle of elbow smashes, big kicks, neck holds, body slams, half crabs, ab stretches, Texas cloverleaf's, and other back punishers as the two attempt to not only beat, but cripple their opponent. When the back pain becomes too much one of these warriors are forced to give in the final submission and deal with the humiliation of defeat. 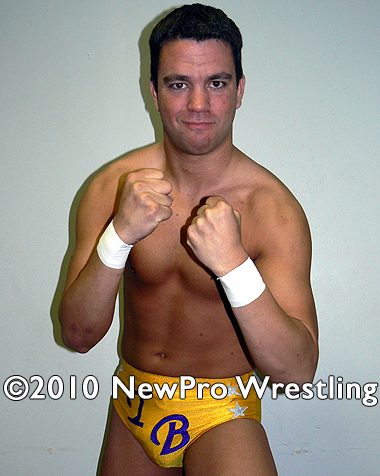 Wild, but full of great holds and classic pro wrestling: the essence of NewPro!